In this special episode, I’m joined by Nick Kubrick to discuss the Razzie and Oscar nominations. Lots of agreements, lots of disagreements, but one thing is certain; M. Night Shyamalan must be destroyed. 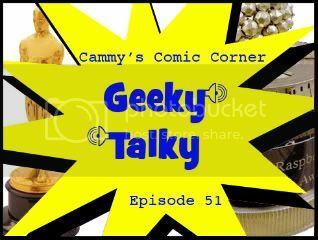 This entry was posted in Cammy's Comic Corner and tagged Academy Awards, amy adams, Black Swan, james franco, m night shyamalan, Natalie Portman, Oscars, razzie awards, The Last Airbender, true grit by Cameron. Bookmark the permalink.